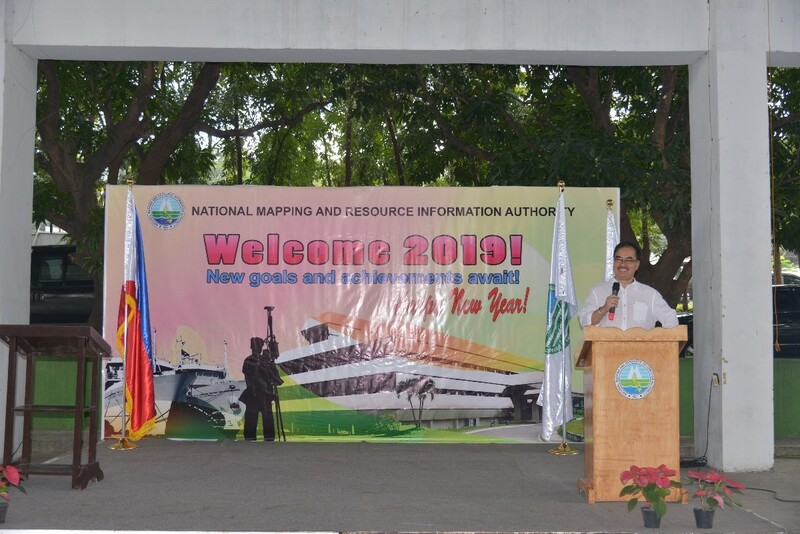 In keeping with its yearly tradition, NAMRIA welcomed the first Monday of the year with a gathering of employees for the “New Year’s Call 2019” at the NAMRIA Multi-Purpose Gym, Fort Bonifacio, Taguig City on 07 January 2019. 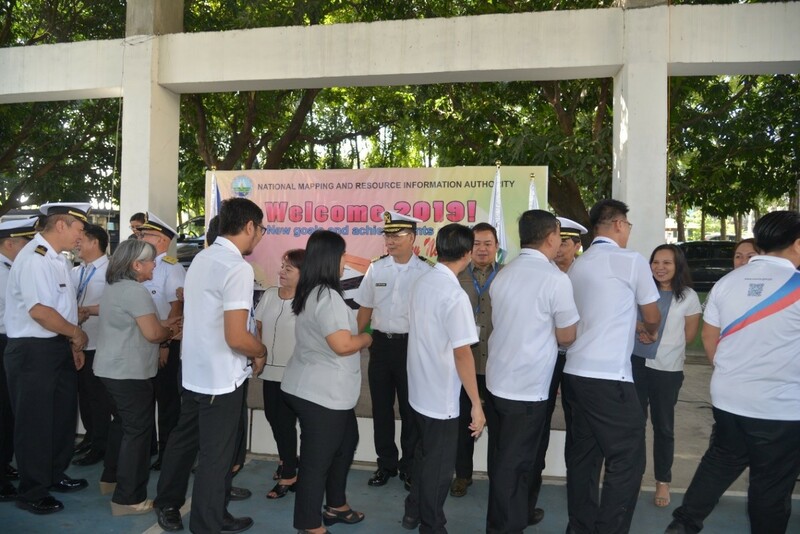 The event was held after the first flag raising ceremony of the year and was hosted by the Support Services Branch with Ms. Zeny A. Leaño as emcee. 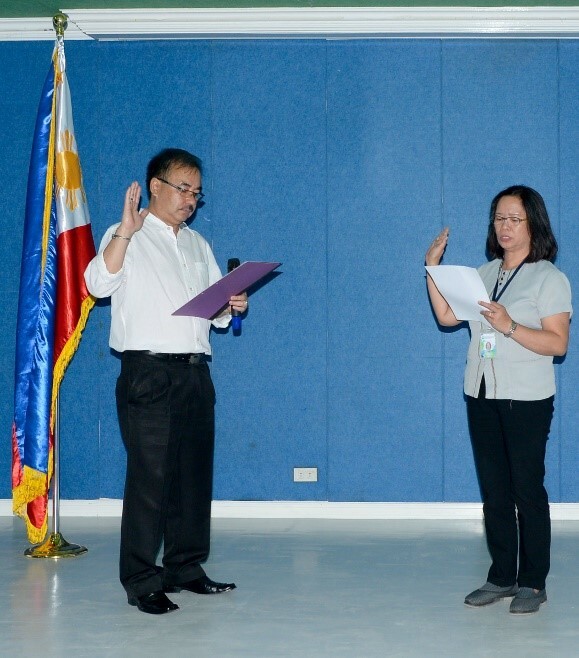 The event featured the oath taking of newly appointed employees; the message of NAMRIA Administrator Usec. Peter N. Tiangco; and the exchange of New Year greetings. 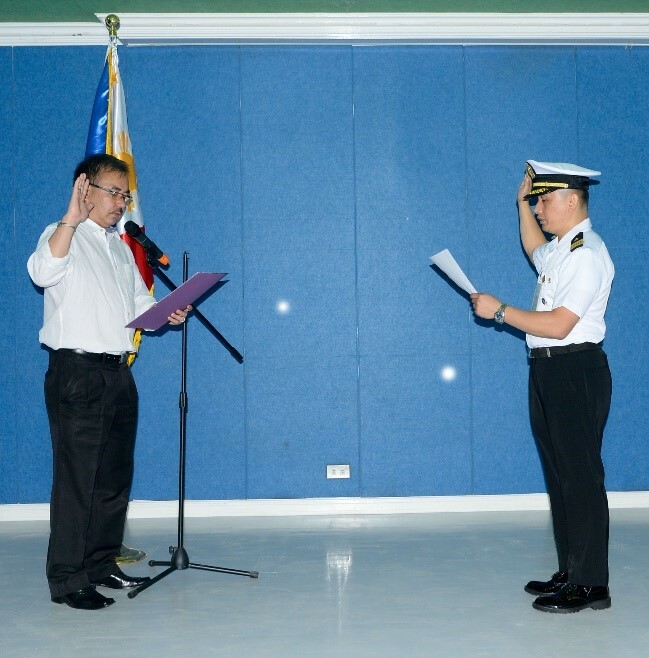 NAMRIA Administrator Tiangco gives his New Year’s message. by NAMRIA officials led by the Administrator. In his message, Administrator Tiangco talked about the achievements of the agency last year like the successful migration from ISO 9001:2008 to ISO 9001:2015; achievement of the prestigious Investors in People Accreditation for International Standards on Good People Management Practices; and being awarded the Bronze Award under the Program to Institutionalize Meritocracy and Excellence in Human Resource Management by the Civil Service Commission. …and at the NAMRIA Lecture Hall. Administrator Tiangco mentioned that the agency is looking to extend support to one of DENR Secretary Roy A. Cimatu's projects, the rehabilitation of Manila Bay. NAMRIA Lecture Hall following the new year’s call. 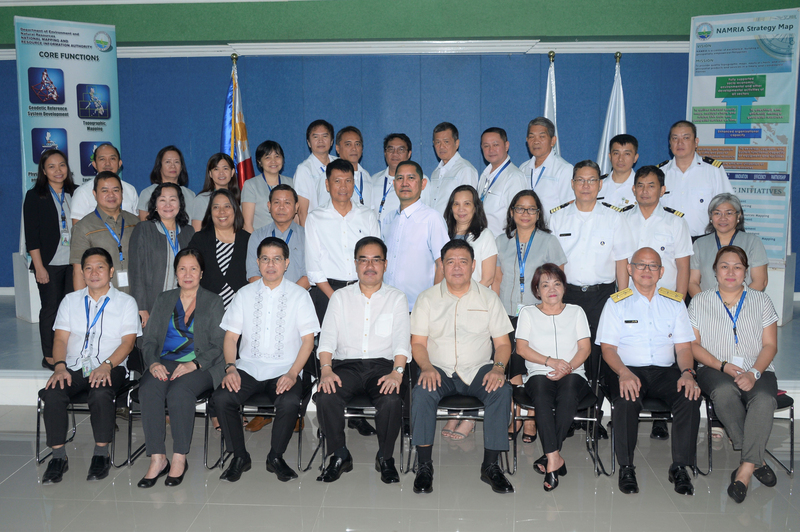 Lastly, Administrator Tiangco said that he is counting on the employees’ full commitment to achieve success in the NAMRIA activities this year. By having a dynamic pool of employees, NAMRIA will achieve a geospatially empowered Philippines.